We told you about the Firearms Guide’s jump from DVD to “the cloud” back in January and all of the new features and capabilities that this change allowed. Firearms Guide editor Chris Mijic is delivering on his promise of frequent updates in the ever-changing world of firearms as the 6th edition of the new ONLINE Firearms Guide makes its debut this week. 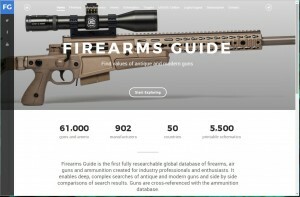 Chris describes the Guide as the “most extensive firearms, air guns and ammo reference guide” with more than 61,000 firearm and ammo entries from over 900 manufacturers. 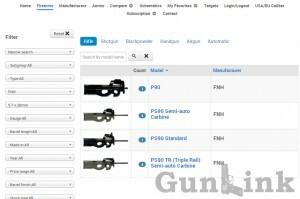 In addition to details about the firearms, the Guide also provides values based on 100% – 30% condition ratings on all firearms as well as over 5,500 printable firearm parts lists and diagrams. 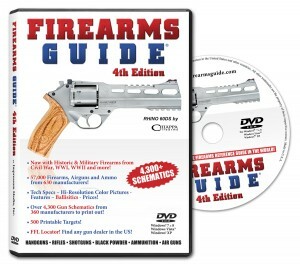 To check out the latest addition to the Firearms Guide series, visit the Firearms Guide website. 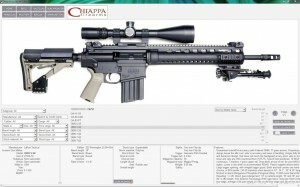 We have told you about the Firearms Guide in the past as it has grown and matured from a disk-based database of firearms information to a more comprehensive suite that includes high resolution photos, schematics, gun and ammo specs, printable targets and more; as well as growing to include specialized versions for niches such as tactical rifles. Now the firearms guide has made the next step since the previous disk-based version as it moves into “the cloud“. The latest installment in the Firearms Guide series released this month by Impressum Media demonstrates the publisher’s continuing efforts to improve the product. 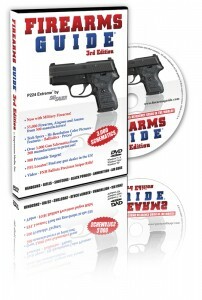 Arriving on the scene almost one year after the previous version, the 4th Edition Firearms Guide continues to grow. 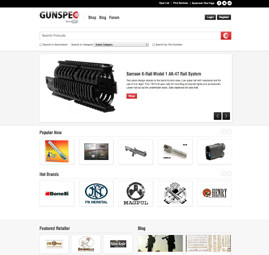 FISHKILL, NY – GunSpec, a shopping comparison site for the firearms industry, has launched GunSpec.com v2.0. The new version provides end users with additional offerings and more robust product search features. GunSpec has expanded its list of firearm category offerings and created new categories for clothing, hunting gear, knives and emergency preparedness products. The big news for firearms retailers is that they still have a choice of uploading their catalog offerings with a no cost, free trial and taking advantage of the industry’s first “firearms, parts and accessories only” shopping search engine site. Retailers can also boost their web store presence by taking part in the new GunSpec Premium Ad Placement program. The ad placement program is a cost-per-click advertising program that enhances the retailer’s catalog offering for a lower cost than traditional shopping engine providers. GunSpec has also beefed up its capabilities for retailers to include automated product data feeds, inventory, and reporting.